It doesn’t matter what type of business you’re in or what position you have, there are only 24 hours in a day for each of us. Mastering time management and maximizing efficiency can help you to feel like you have more time since you’ll be able to get more accomplished. Sounds good, right? Well, improving your time management is possible with the help of some solid principles that you can apply in your daily routines. If you’re looking to be more effective with your time, here are 12 of the most critical time management principles. We’re all faced with a lot of different tasks that fight for our attention and time each day. How do you decide what is most worthy of your time? The best approach is to prioritize those tasks that are both urgent and important. A task that is highly time sensitive is urgent. Important tasks may not be time sensitive, but they are valuable and influential in the long run. Stephen Covey’s time management grid can be extremely helpful for seeing what tasks should be prioritized. A common mistake is to get bogged down with things that are urgent, but not necessarily important. By using the grid you can be sure that you’re focusing on things that will have a real impact. If you’re someone that tends to say “yes” to every request for your time, you may find that all of these commitments prevent you from making effective use of your time. Make an effort to only commit to things that you can realistically accomplish with the time that you have available. You’ll also want to be sure that committing to something won’t prevent you from being able to do other things that are important to you. Each of us is different and not everyone works in the same way. I prefer to have a detailed to-do list that keeps me on task for each day and each week. Someone else may feel overwhelmed by a list of things to check off each day. Regardless of your approach or preferences, you need to have some method of planning your time. Not having a plan leads to a less efficient use of your time as you’ll wind up getting off task or working on things that really aren’t important. Find a system of planning that works for you and use it in your daily routine. It never fails that something unexpected will come up and demand your time and attention. No matter how well you plan your time, things are bound to come up — so make sure that you leave some time in your daily schedule. When I’m creating my to-do list for any given day, I tend to assign myself tasks that I anticipate will take about 75% of my time for the day. That leaves another 25% for tasks that take longer than anticipated or for unexpected things or emergencies that need to be addressed. Avoid the temptation to plan your time so full that you won’t be able to deal with important issues that arise. Rather than dealing with something several different times before completing a task, make an effort to handle it only once. Email is a great example here. If you read through an email, make an effort to respond and take care of the issue at one time. I’ve found myself at times reading through emails and then deciding I’ll get back to it later. When I do get back to it, I have to read the email again and it winds up taking more time. Multiply that by several times throughout the day and it adds up. Whenever possible, handle it once and be done. You may have deadlines for your work that are set by a boss or a client, but it’s also important to set deadlines of your own. If you do have deadlines from bosses or clients, it can be helpful to break up the project into smaller chunks and set deadlines to keep yourself on track. If you don’t have anyone giving you deadlines for your work, try setting your own deadlines. In addition to simply having deadlines, it’s also important that these deadlines are realistic and will give you enough time to do your best work. If your boss or client is pushing for a deadline that isn’t realistic, explain why you need more time and the possible consequences of the project being rushed, and suggest a more realistic deadline. Setting goals is an important part of achieving maximum efficiency. Your goals can include things that you want to accomplish in a particular day, week, month, or year. Goals can be used with major accomplishments or smaller tasks that are important to you. Whenever you’re setting goals, it’s best to set a date or deadline for achieving the goal. Habits and routines can be quite powerful. When used effectively, routines can help you to get more done and to make better use of your time. I use routines to take care of several small tasks that I need to do each day. First thing in the morning, I go through a routine that includes checking email and responding to messages received overnight, a few minutes of networking via social media, moderating comments on my blogs, publishing new content that has already been written and prepped, and a few other small tasks. The result of my routine is that I can get a lot of small tasks off my daily to-do list in a small amount of time right at the beginning of the day. After that, I can have the most productive part of my day for essential tasks that require more of my time and concentration. Multitasking is overrated. Sure, in theory it would be awesome to be able to do several different things at once, but the problem is that you won’t be able to do your best work when multitasking. If you focus on one thing at a time you can move through tasks quicker and the quality of your work will be better. Multitasking can lead to a lot of mistakes that you have to go back and correct later, which is wasted time. Distractions are all around us. If you’re working at home you may have distractions like kids, other family members, house guests, television, phone calls, and all kinds of personal responsibilities and tasks. If you work in an office you’ll probably have plenty of distractions from co-workers. While it’s impossible to totally eliminate distractions, you can improve your situation by minimizing them or avoiding them whenever possible. For those who work at home, you can set up a dedicated office space with a door that you can close. In an office, you may want to go in to work early to get some distraction-free time before co-workers arrive, or maybe shift your lunch time so that you can get some peaceful time while most of your co-workers are away at lunch. The key is to recognize the most significant distractions that are hurting your productivity, and then you can work towards solutions that will minimize their impact. Part of being efficient with your time involves deciding what tasks require your own attention. There may be things that could be done by someone else. Outsourcing work is a great option for freelancers and small business owners. Delegating responsibilities may be an option if you’re in management or if you’re part of a team. Resources like Elance and oDesk are great for finding freelancers when you need to outsource some of your work. You can typically find qualified workers with very affordable rates, which allows you to dedicate your own time to tasks that may be more important to you. 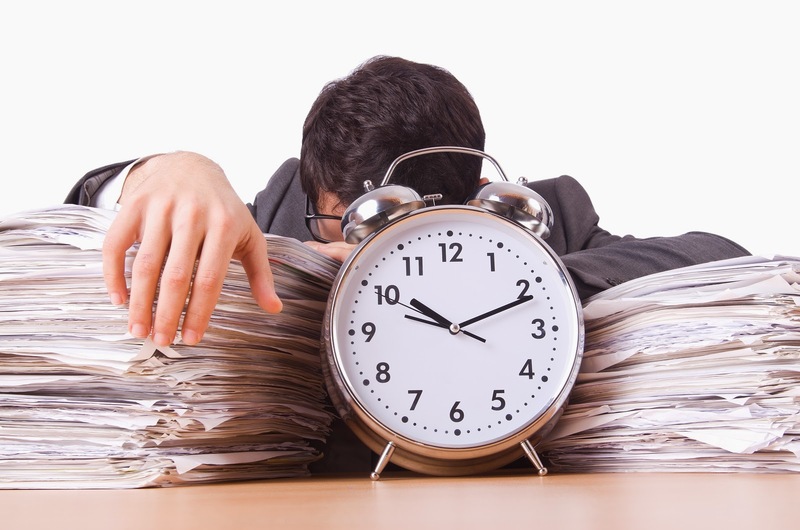 While the purpose of time management is to use your time wisely and to improve efficiency, it’s also important that you don’t burn yourself out by working too much or too hard. Be sure to leave some time in your schedule to do things with friends and family, or even on your own. Getting time away from work is essential for dealing with stress, for refreshing your energy, and for living a balanced life. Making efficient use of your time is important regardless of what type of job or career you have. If you can make even small improvements in your own time management, you’ll see noticeable results in terms of how much you can get done, the quality of your work, and your stress levels. What approach do you take in your in time management? Are there things that work really well for you, or things that don’t work for you? Feel free to share from your experience in the comments.